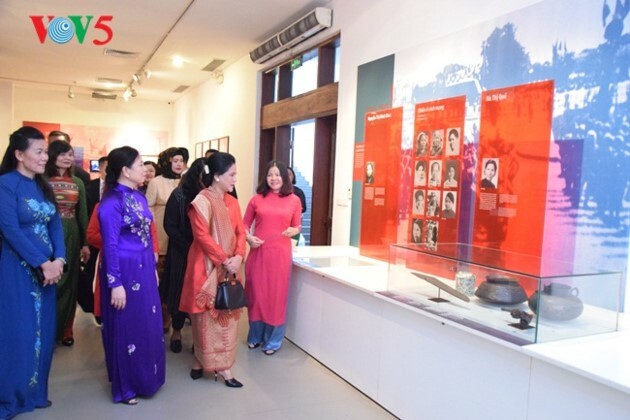 The museum displays objects and materials depicting Vietnamese women. 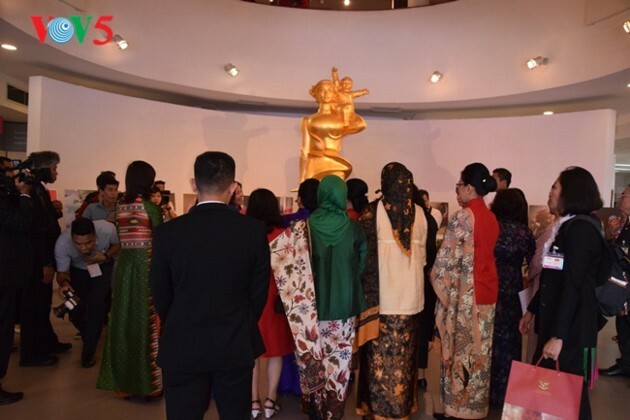 The statue "Vietnamese Mother", designed by artist Nguyen Phu Cuong, is one of them. 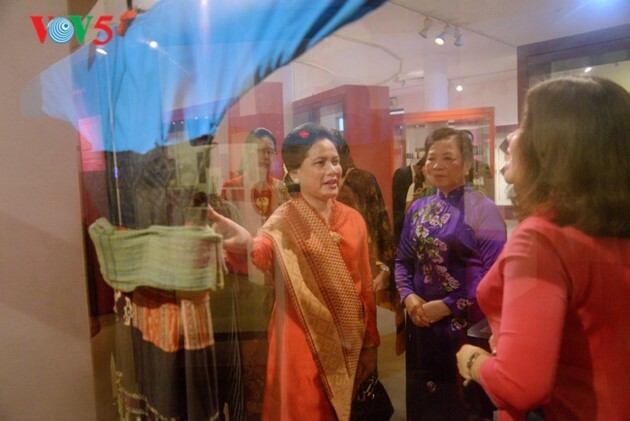 Madam Iriana Joko Widodo found some interesting similarities between costumes of Vietnamese and Indonesian women. 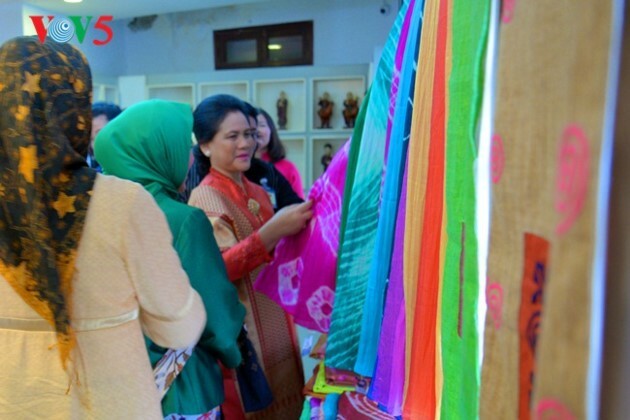 Madam Iriana Joko Widodo thanked the warm welcome of Madam Nguyen Thi Hien. 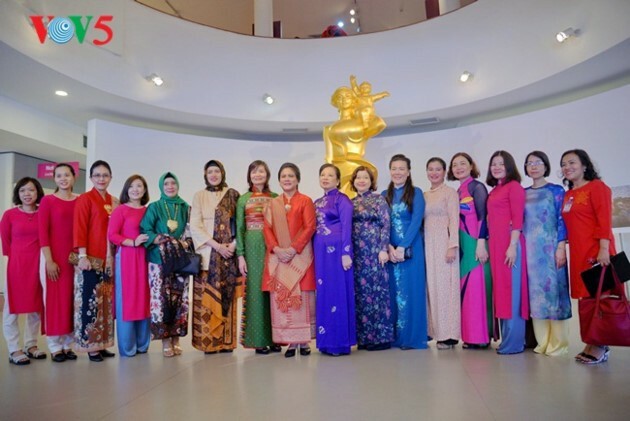 The ladies took pictures with the museum's staff. 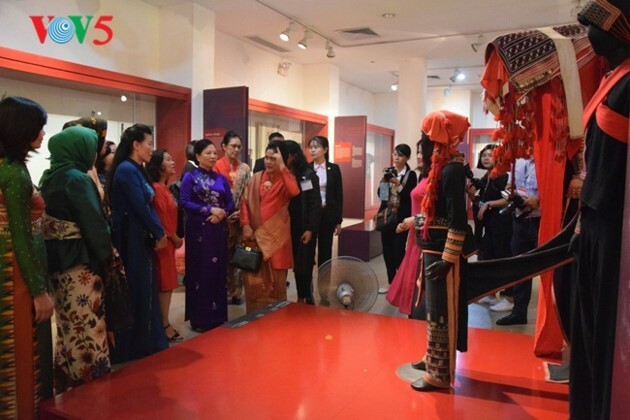 (VOVWORLD) - Indonesian President Joko Widodo and his wife Iriana Joko Widodo paid a State visit to Vietnam from September 11 to 12 at the invitation of Vietnamese President Tran Dai Quang. 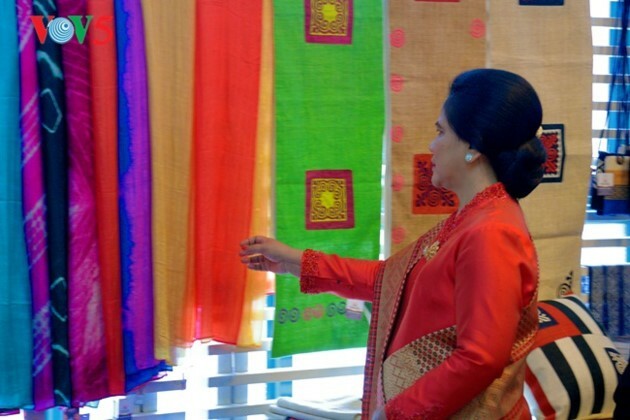 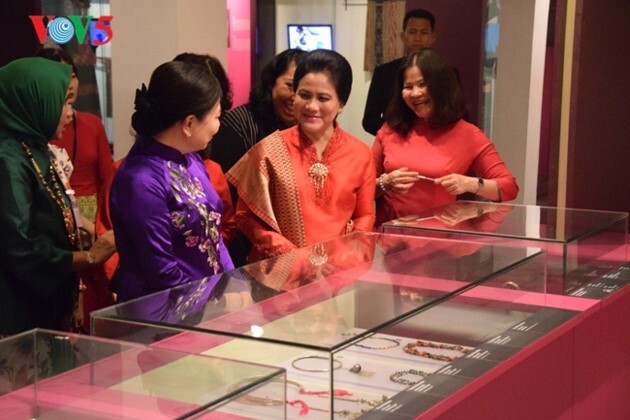 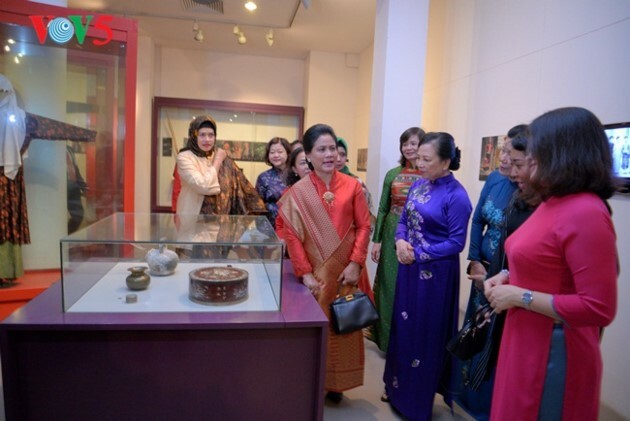 On this occasion, Madam Iriana Joko Widodo visited the Vietnamese Women's Museum.